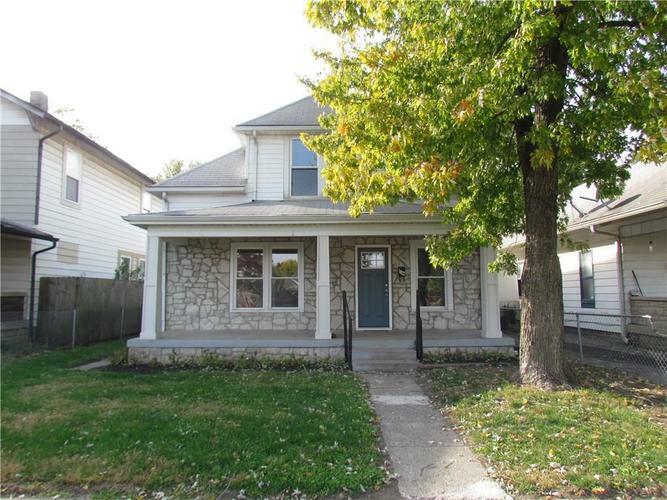 Gorgeous 4bd/2ba home w/ coveted upgrades near heart of d'town Indy. Fresh paint/flooring t/o. Dynamite gourmet kitchen boasts quartz c'tops, cooktop, ss double oven, island. 9+ ft ceilings on main level. GR and 4th Bd features built-ins. Upgraded mechanical's include new 200 amp breaker box and pex/PVC plumbing t/o, newer furnace. Huge 832 sq ft garage perfect for car enthusiast/mechanic. Short jaunt outside your front porch to Rhodius Park, W. Indy Public Library, restaurants, shopping.